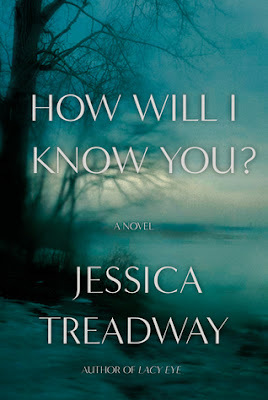 Shaiha's Ramblings: Book Review: How Will I Know You? On a cold December day in northern upstate New York, the body of high school senior Joy Enright is discovered in the woods at the edge of a pond. She had been presumed drowned, but an autopsy shows that she was, in fact, strangled. As the investigation unfolds, four characters tell the story from widely divergent perspectives: Susanne, Joy's mother and a professor at the local art college; Martin, a black graduate student suspected of the murder; Harper, Joy's best friend and a potential eyewitness; and Tom, a rescue diver and son-in-law of the town's police chief. As a web of small-town secrets comes to light, a dramatic conclusion reveals the truth about Joy's death. I had a lot of trouble reading this book mainly because I found it hard to relate to any of the characters. This book jumps around as far as whose viewpoint the story is being told from. This style does give the reader a chance to really get to know everyone but in my eyes, it just didn't work out well. Too often I had issues trying to figure out just whose eyes I was looking through. I also found the pacing to be too slow to really hold my interest and it was a struggle to continue to the last third of the book which was great. And the ending was worth all the struggle. 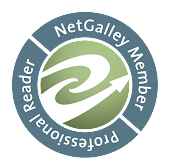 I am not sure I would recommend this book even though the ending was so strong simply because of the struggle to get there. For my readers who prefer an in-depth knowledge of the different characters before the action begins, this might very well be the book for you. I have this on my TBR list... I may try it out just to see how I like it.